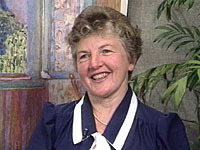 Fran Allen is one of the seminal names in computer science, known for her work on the Stretch computer and on compiler technology. She combines technical brilliance with a glowing enthusiasm that sweeps everyone along in her wake. There are people in this world that you marvel you've shared this world with. She's one of those. If there's anything that surpasses her mind, it's her heart. The Turing Award couldn't have been given to a more deserving recipient. 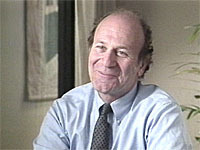 Joel Birnbaum was with IBM's T.J. Watson Research Center, serving as Director of Computer Sciences from 1965 to 1980. 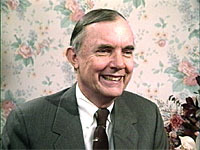 Like John Cocke, a graduate of Duke University, Lewis Branscomb was IBM Chief Scientist from 1972 to 1985. 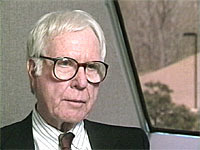 Yet another Duke University graduate, Fred Brooks managed the Systems 360 development, writing about the experience in the famous book, "The Mytical Man-Month". A much loved and respected computer scientist, about whom the word "gentleman" was the most frequently used adjective. He lived life with joy. 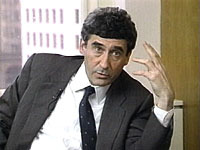 It rebounds to IBM's great credit that they were able to integrate this genius into what was considered to be a Brooks Brothers, buttoned down world, and give John the room and support that let his contributions magnify as he seeded his ideas through several generations of scientists. The hole he leaves in this world is not easily filled, and he is certainly never forgotten. Because I served as chair of the ACM Special Interest Group on Programming Languages, and ran conferences and edited language newsletters, John would occasionally stop me in the halls of Yorktown and just talk. When he had finished, he'd encourage me to follow up on the topic of his monologue, and just move on to the next person, or the next office, along his meandering path. I was usually left blinking, as his expertise was so far beyond my own as to be almost incomprehensible. But there was such kindness in his manner, and such love of whatever his current topic was, that my recognition of the difference in our depths came only from myself, and never from John. He truly was the ultimate gentleman. 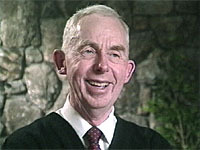 Another IBMer with a connection to Duke, Bradford Dunham was an instructor at Duke from 1950 to 1953, before joining IBM in 1955. He was a logician, and did significant work on chip design. "Red" Dunwell was an early IBMer, joining in 1934 and retiring in 1976. He worked on early marked card machines, and built the switching device Eckhart used in his experiments. 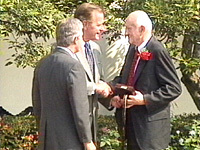 During WWII, Red joined the U.S. Armys Security Agency, leaving as a Lieutenant Colonel and being awarded the Legion of Merit. After working on numerous other early IBM machines, Dunwell was made manager of the Stretch project in 1958. 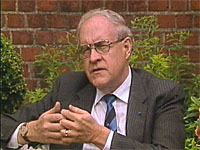 In 1992, IBM and Dunwell made public the fact that he had helped to develop a top-secret IBM computer that decoded intercepted enemy radio messages during World War II. Ed Fredkin is someone with the mental breadth of John Cocke, so it seems inevitable that they would have enjoyed one another. 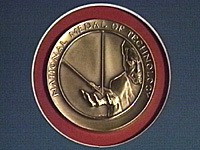 Fredkin's field was physics, but he became involved with computers in 1956 when he was sent by the Air Force, where he had trained as a jet pilot, to the MIT Lincoln Laboratory. 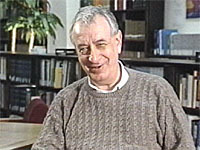 Like many other BBNers, Fredkin moved from Lincoln Labs to BBN, then moved to MIT as a full professor. 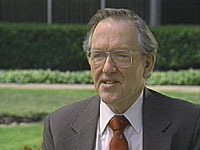 A mathematician by training, Ralph Gomory was head of the IBM Research Division from 1970, becoming an IBM Senior Vice-President. Gunn, J.B. Microwave oscillations of current in III/V semiconductors. Solid State Commun., 1963 1, 88. Gunn, J.B. Instabilities of current and of potential distribution in GaAs and InP. Proc. Plasma Effects in Solids, Dunod, Paris, 1965, 199. 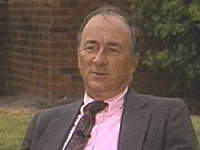 With IBM for twenty-three years, Heller was corporate director of advanced technology systems and general manager of the business unit responsible for the RISC development. 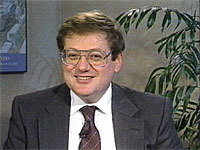 Following his career at IBM, Heller became involved with a Silicon Valley venture capital company, Klein, Perkin, Caulfield and Byers, then went on to spectacular success with numerous startup companies. 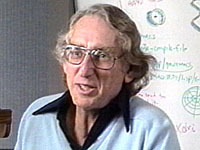 Harwood Kolsky was a physicist working at Los Alamos, when he hired into IBM as a member of the product planning group for the Stretch computer. His IBM career has spanned the continent from Poughkeepsie to San Jose and Palo Alto, and his interests are just as wide reaching. 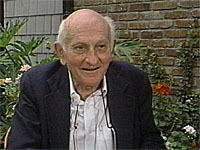 Recognizing the historical value of the work on which he was engaged, Kolsky was able to collect and donate a large document collection to the Computer History Museum. While no longer with the University of California, he's still a researcher, but working now with local California history. 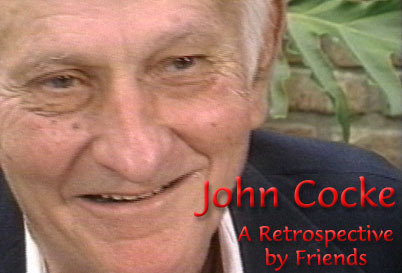 Educated at Technion-Israel Institute of Technology and Princeton, joined IBM after interviewing with John Cocke and, with Fran Allen, is primarily responsible for the creation of the video and multimedia kiosk, John Cocke: A Retrospective by Friends. Peled was Cocke's manager at the time Cocke won the Turing Award, and ended up having to write and give the Turing Lecture. 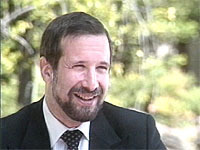 After leaving IBM, Peled became President of the NDS Group, and devotes his energies to multimedia technical issues. 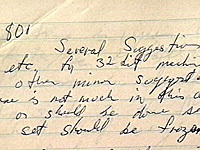 In 1988, I stopped Abe after he gave a talk on 'Pursuit of Excellence" and asked him if he could find something for me to do, outside the area of computer languages, that would engage my wholehearted energies. Abe did. He gave me an international multimedia magazine to bring the IBM Research labs together, and I worked for him for several years. It's truly hard to contain the adjectives that I would use to describe this incredible person. Risk taker, visionary, the epitome of what a manager and executive SHOULD be. Suffice it to say that I really would crawl over broken glass for this man. Jack Schwartz's career would put a perpetual motion machine to shame. 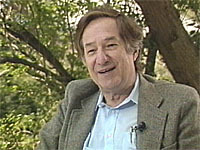 His interests are spread across linear operators, von Neumann algebras, quantum field theory, time-sharing, parallel computing, programming languages, optimization, computational logic, robotics, and multimedia. He's been director of DARPA, actively collaborating with IBM, and professor at NYU since 1957. He's published 18 books and over 100 articles. With a background of Harvard and MIT in electrical engineering and mathematics, Ed Sussenguth was another Navy veteran to come to IBM. 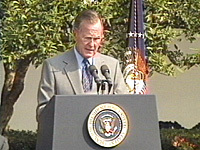 His fields of interest included high performance computers, formal language descriptions, networking and high speed communications. 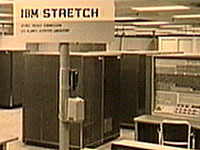 Stretch The IBM 7030, nicknamed "Stretch", was delivered to Los Alamos National Laboratory in 1961 and was one of the world's first supercomputers. (The Univac LARC had been delivered to Livermore National Laboratory in 1960.) It was probably the fastest computer in the early 1960s and was certainly one of the biggest, both logically and physically. It had a very elegant "architecture": 64-bit words addressable down to the bit, an enormous (for the time) memory, memory protection, internal parallelism and software multiprogamming capabilities. Of course it was very expensive (almost 8,000,000 1961 dollars) took up as much floor space as a typical house and used as much electricity as a dozen houses (in spite of using transistors), but that was not unusual for the era. Much of the technology developed for Stretch has evolved into technology in common use today, and one can easily buy a Stretch descendent for less than $1000 at any store selling computers. Such computers differ from Stretch not only in being 10,000 times cheaper, but in easily fitting on or under a desk, plugging in to an ordinary wall outlet and computing about 10,000 times faster! ACS IBM's next foray into supercomputing was ACS, or the Advanced Computing System, originally called Project Y ("Project X" had already been taken). IBM was very secretive about it back around 1967, and apparently wasn't willing to give any technical details whatsover when recruiting people to join the project. 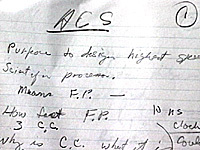 ACS was to be a major step forward in both hardware and software. It was to make extensive use of ECL, or "emitter coupled logic", to get the maximum in processing speed (at the expense of power and heat), and its operating system was to have a kind of microkernel (called BOSS) which was responsible for the lowest level functions such as memory management and protection, program/process isolation, security contexts etc. Many traditional OS functions such as I/O, paging, process scheduling etc. were to be performed by higher OS levels controlled and isolated by BOSS. This approach probably would have resulted in a more secure system than any OS in common use today. Unfortunately, unlike Stretch, ACS never resulted in a deliverable system; it was killed. 801 801 refers to the building in which John Cocke and his group worked on a research project to improve machine performance. What they came up with eventuated in the development of the reduced instruction set computer, or RISC.